The Manx Shearwater was at one time called the 'Manks Puffin', and it having been made the type species of this genus many other puffins were then classed as its close relatives... no longer, however, as the genus Puffinus is now thought to be a collection of birds with very variable relationships. This smallish shearwater lives dangerously, flying very close to the surface of the sea; on land, however, it is a very clumsy bird and faces many more dangers from predatory gulls. Most Manx Shearwater landings occur in darkness, when they have a much greater chance of not being seen and seized, killed and eaten by gulls; even so, if you visit an island where Manx Shearwaters breed you are likely to see the remains of a lot of shearwater corpses. Between 30 and 40cm in length and with a wingspan ranging from 75 to nearly 90cm, these lovely shearwaters fly with their slim black wings held straight out. During long glides punctuated by a series of rapid flaps of their stiff wings, occasionally they bank (shear) suddenly before continuing on their course. While at sea these shearwaters feed on small fish such as sardines and sprat, and in late spring and early summer they return under cover of darkness to their island nesting places in order to feed their young. 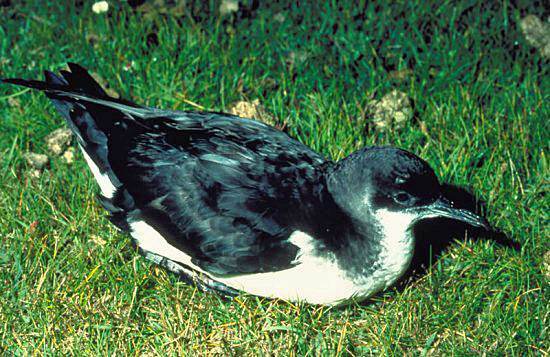 The Manx Shearwater breeds in colonies on islands close to the shore of the mainland, and most notably off Western Britain and Ireland. In Wales, Skomer Island off the coast of Pembrokeshire is a hotspot for Manx Shearwaters, which nest in burrows on the grassy slopes. 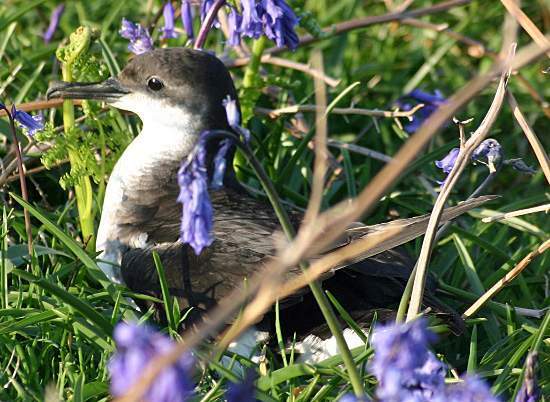 Other islands off the coast of Wales with large numbers of Manx Shearwaters in spring and summer include Skokholm and Bardsey. Spending our winter months on the coast of South America, Manx Shearwaters return to Britain over a period from the end of February until May. By the end of July they have set off again on the long voyage (up 10,000km or 7000 miles) to their winter feeding grounds.